Cancellation Watch Breaking News: The Walking Dead Gets a Fifth Season Renewal, and will Keep the Same Showrunner. 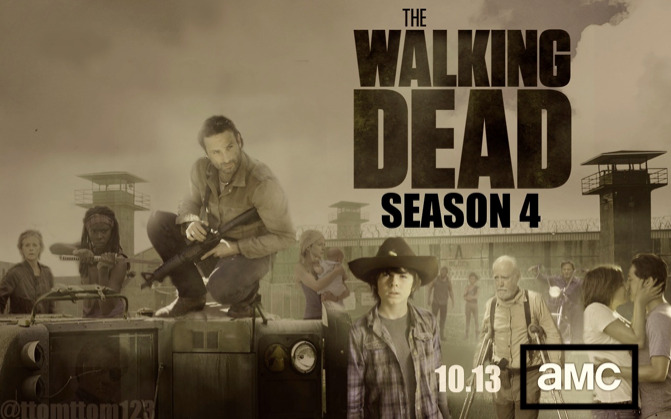 Coming as no surprise, AMC announced today that The Walking Dead would be returning for a fifth season next year. That was pretty much a given seeing as the numbers for show have risen every year it has aired and it has set all sorts of ratings benchmarks. It is currently blowing away everything non-sports related on the cable and broadcast channels and it has even beat out some sporting events of late (it topped NBC’s Sunday Night Football with its latest episode). AMC had previously announced plans for a “companion” series to The Walking Dead which will follow another group of survivors in the same zombie-pocalypse world. And personally, I think it would be a great move to add an anthology series set in the same world as well, but that may be overkill (or over-Dead?). No word yet on when the new series will land or how many episodes Season 5 will run. And seeing as the comic book that the series is based on has now surpassed well over a hundred issues, there is plenty of source material for the writers to draw from for several more years. Also of interest to fans of The Walking Dead, the series will keep the same showrunner going into next year. That is comforting (especially those of us who like how Season 4 is currently tracking) seeing as both Frank Darabont and Glen Mazzara have departed during or after prior seasons. So expect the series to maintain the same tone as the current season when it returns next Fall and also expect this one to be a force of television for at least several more years to come.